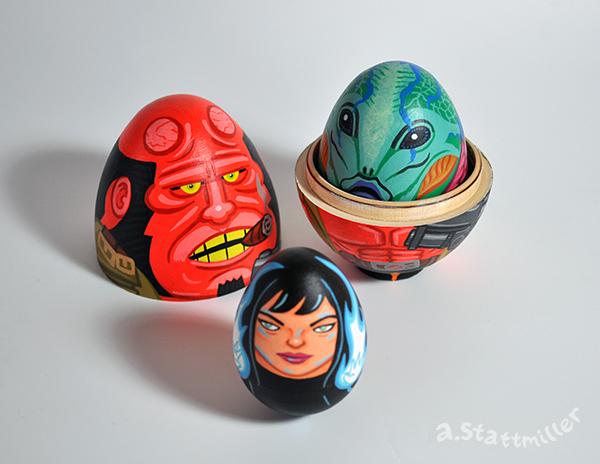 Hellboy Nesting Eggs! 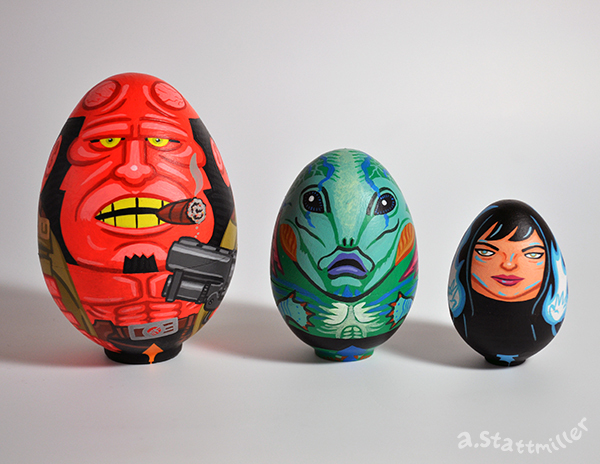 Featuring Hellboy, Abe Sapien and Liz Sherman. 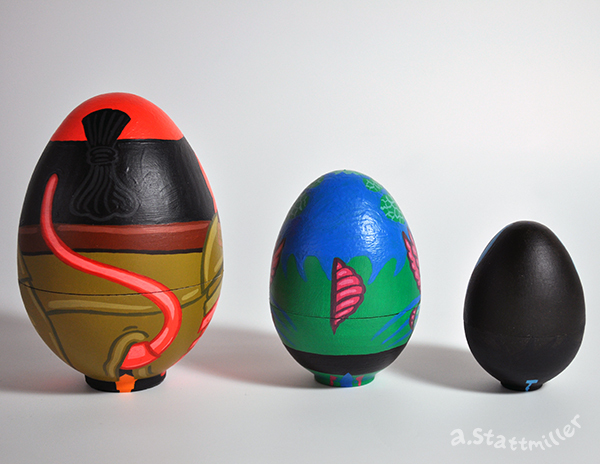 All hand painted with acrylic on wood nesting eggs. 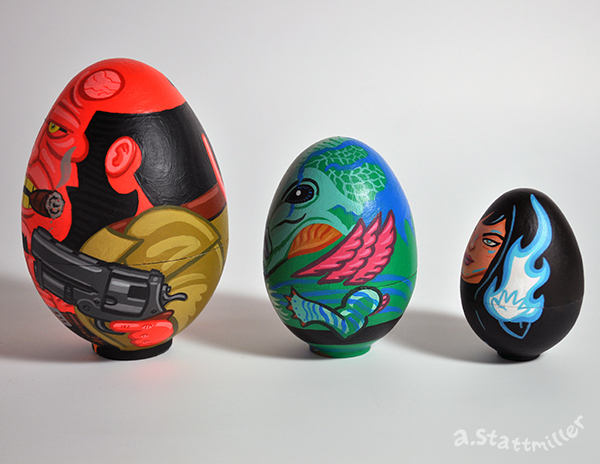 The Hellboy egg is 6" tall. 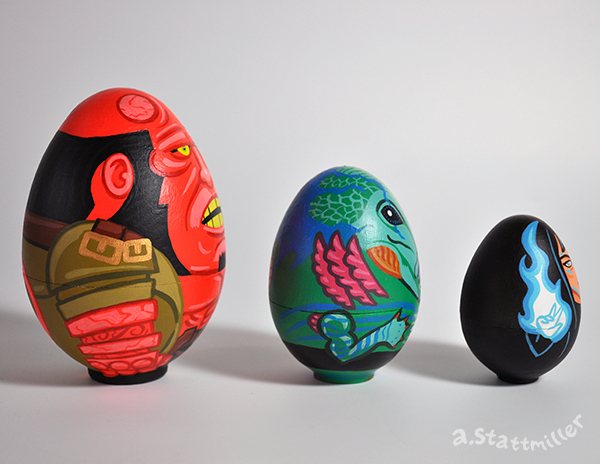 I'm excited to say that these will be in Guillermo Del Toro: In Service of Monsters at Gallery 1988 West in Los Angeles. 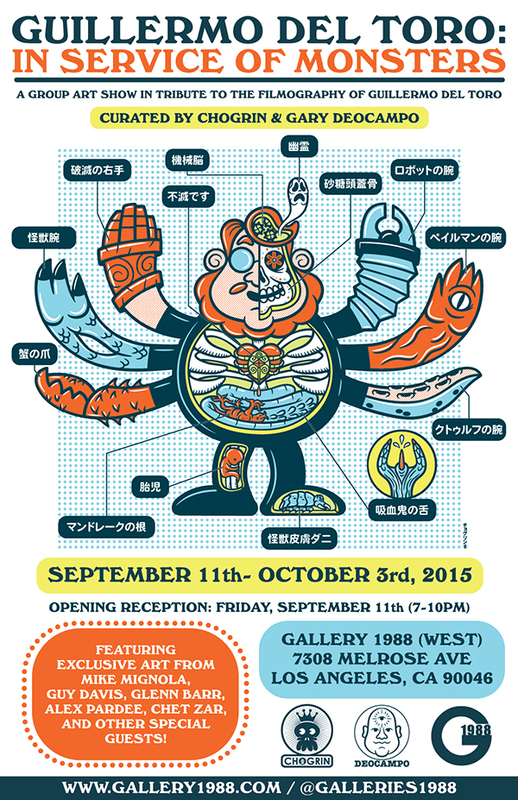 The show opens Friday, September 11th, 7-10pm. You can purchase the set here. ©2006-2016 Andy Stattmiller. All Rights Reserved.